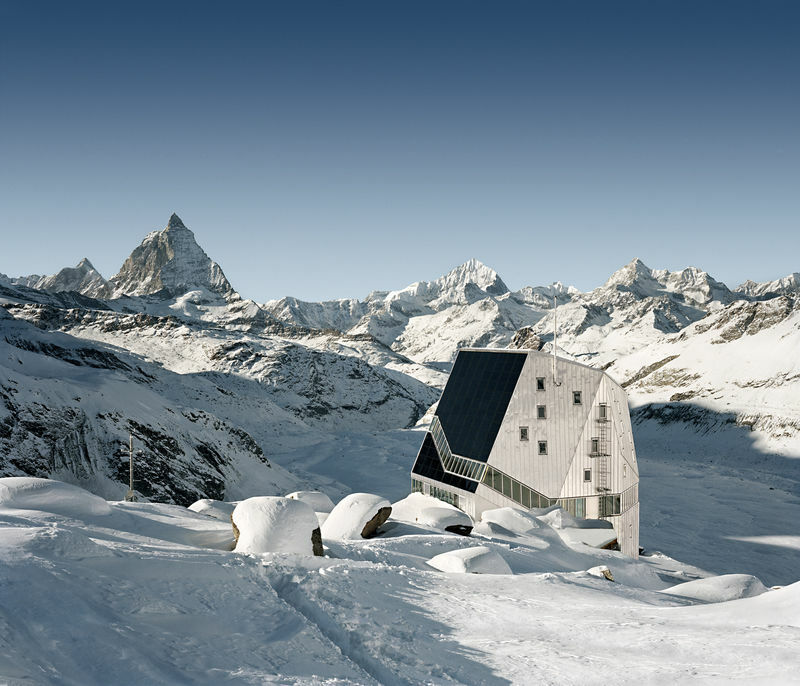 The mountain refuge, run by the Monte Rosa section of the SAC (Swiss Alpine Club), reflects the light and landscape of its high-altitude environment literally thanks to its dazzling aluminium façade. The method of construction and associated technology were developed by students at ETH Zurich under Dr. Meinrad K. Eberle. The building supplies its own energy needs to a great extent; waste water is recycled. The hut continues to serve ETH Zurich as a subject for research in the fields of energy and building technology. After its opening in September 2009 and in the following years, the refuge dubbed the “rock crystal” attracted large number of visitors because of its innovative architecture and design. 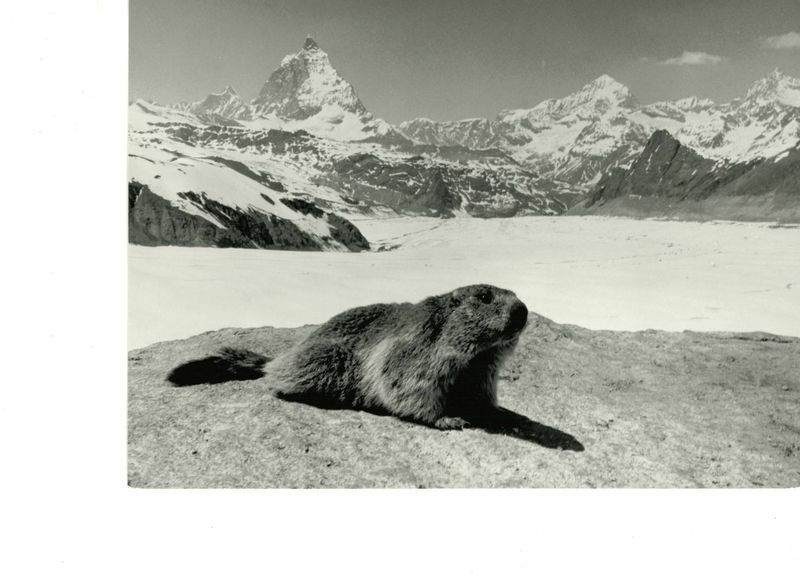 The journey up is an adventure in itself: the route leads over the Gorner Glacier and into a high-mountain environment, with superb views of glaciers, the Matterhorn and the highest peaks in the Alps. But beware, the Gorner Glacier is changing constantly. The hike up involves a traverse of the glacier, and is considered a demanding alpine trek; the trip should be undertaken only with a mountain guide. The hut is popular with mountaineers in summer and with ski touring enthusiasts in spring. 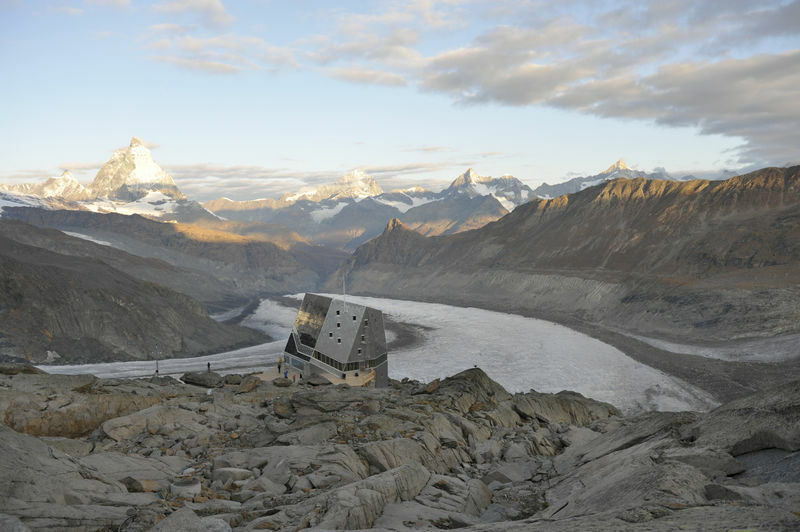 On 14 July 2011, the old Monte Rosa hut, located a little below the new refuge, was destroyed by the Swiss army. The reason: permission for construction of the new hut was granted on condition the old hut be removed. On principle, there should be no unused buildings in this highly sensitive region around the Alps’ highest peaks. Hut visible from the Gandegg hut (cable car to Trockener Steg, hiking trail). In winter, a ski piste leads to Gandegg.